Self-build Project was Carried Out with the PCC of Church Preen, to Commemorate the Millennium. The outline design was prepared by Baart Harries Newall, then developed into working drawings by PCC member Roy Torkington. 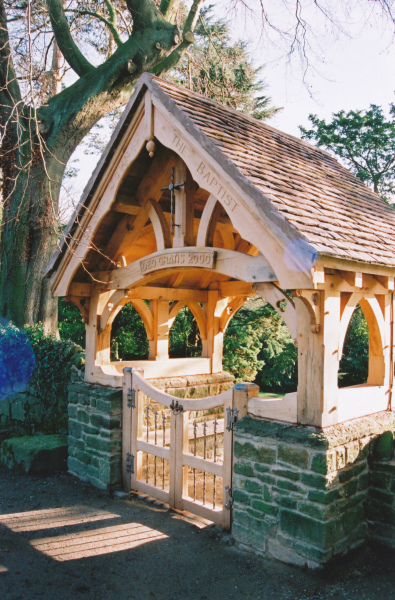 A small working party undertook the construction of the lychgate, with occasional assistance from a craftsman mason, and under a watching brief by the architects. The oak was sourced in Herefordshire, and stored "in stick" in the church warden's barn to season. The barn also provided the workshop in which the oak members were pre-fabricated prior to assembly on site. 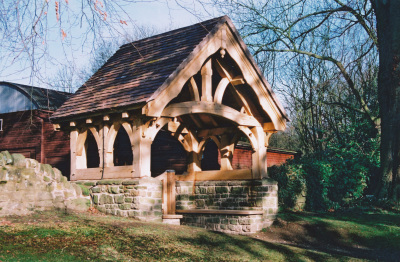 Shrewsbury and Atcham Borough Council Design and Heritage Award 2001 (Environmental Improvement).